A name synonymous with quality and style, Carl Scarpa has been leading the way in sophisticated footwear for over 40 years. We believe that great footwear is the cornerstone of any stylish outfit, and we strive to ensure our designs are eye-catching, beautifully crafted, fashion-forward and full of great design details. Our first international shop opened in Sligo, Ireland in 1974. 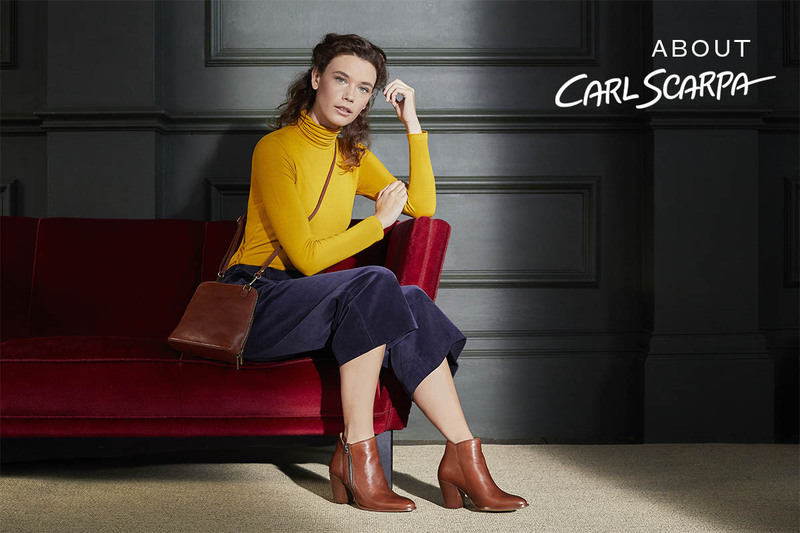 This store became an instant success with style lovers and quickly Carl Scarpa collections became known for their classic Italian style and luxury design details. Other stores quickly followed, and today we have 25 branches in the UK and Ireland, as well as our hugely successful website, which ships globally. We work tirelessly to gather together the very best brands and designs, all of which are exclusive to Carl Scarpa. Want to know more? Simply browse our vast range of boots, loafers, sandals and ankle boots – our exquisite footwear speaks for itself. Carl Scarpa is the trading name of CS Calzature Limited. We operate on GMT time, between the hours of 9am- 6pm.